Suntan lotion is at the top of the list for your summer holiday. Choose one that is healthy for you and for our oceans. Consider this the next time you are investing in skincare protection for you and your family: most suntan lotions are harmful to marine life. Researchers at NOAA and the National Park Service warn us that, “the products covering our skin wash off when we enter the water, and it adds up! Research tells us that 6,000-14,000 tons of sunscreen lotion are emitted into coral reef areas each year. This means that our most popular reefs, such as those in our national parks, are exposed to the majority of sunscreens.” Scientists tell us that no sunscreens are completely “reef safe” and in fact, according to a study by the Coral Disease and Health Consortium (CDHC) and Cheryl M. Woodley, PhD, over 3,500 sunscreen products worldwide contain Oxybenzone (also known as BP-3;Benzophenone-3) which is known to have toxic effects on marine life. 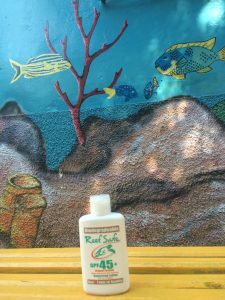 Tropical Snorkeling.com has a guide to better choice mineral-based sunscreens that might be right for you and your family. Proprietors of the site, Galen and Nicole give the low down on which are water resistant, which are oily and which ones go on clear (Yes!). Remember: when you can, use clothing (rash guard, hat, wetsuit) to cover up! Good for you. 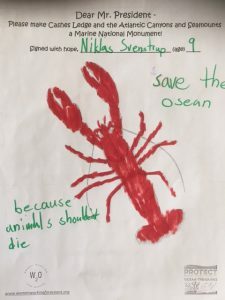 Good for our oceans. 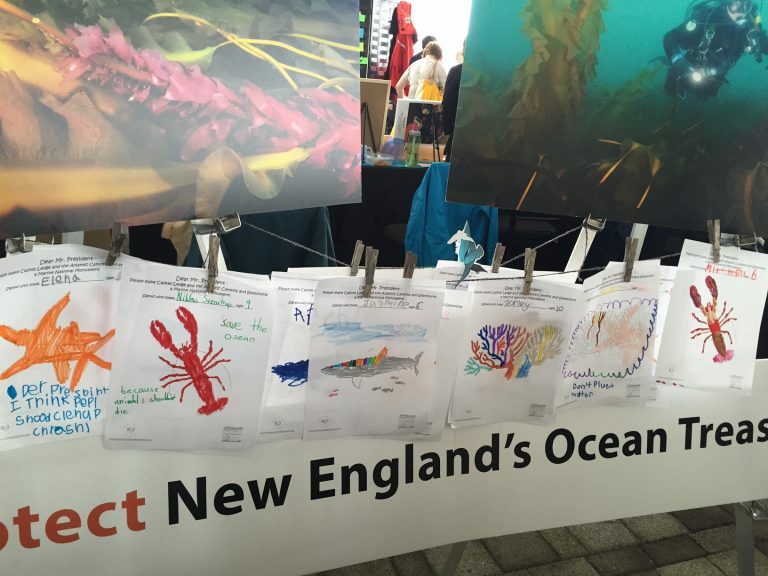 Cashes Ledge: Save Our Atlantic Treasures, Save Our Future Fish Today! 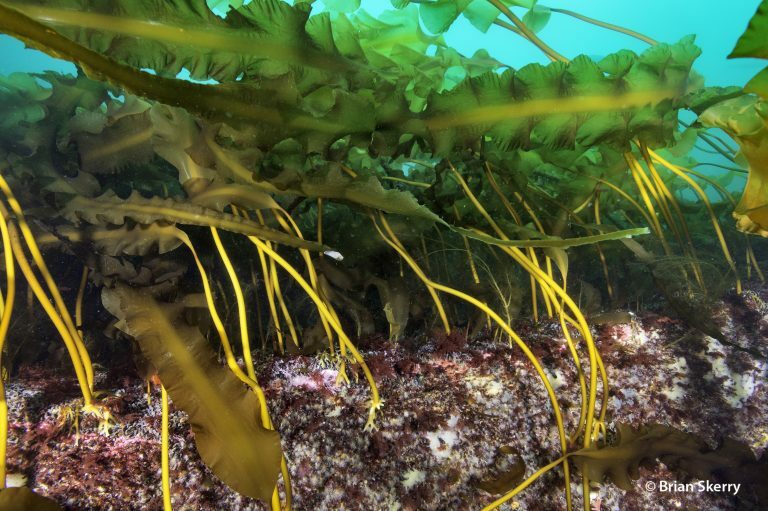 Imagine, if you will, an underwater cathedral of rock off the coast of Maine, where ledges of stone that rival Mount Washington provide a foothold for the largest cold water kelp forest in the Atlantic. 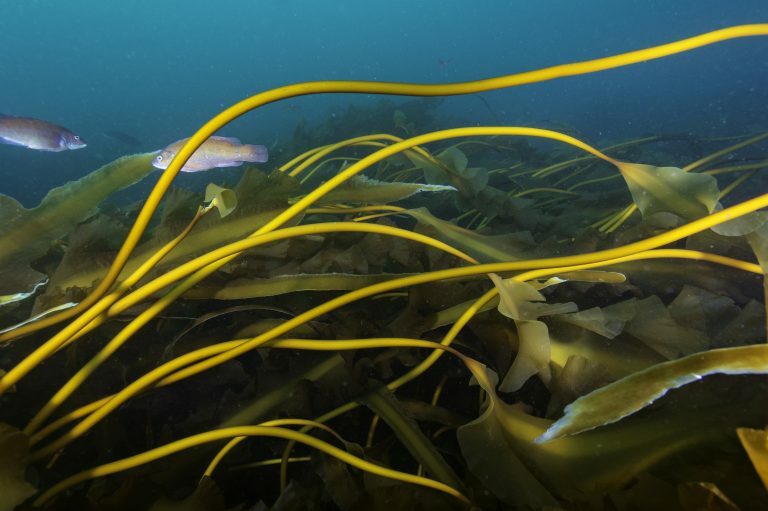 Broad blades of kelp lift towards the surface, converting energy from the sun into life supporting oxygen and providing cover for a staggering abundance and diversity of marine life. 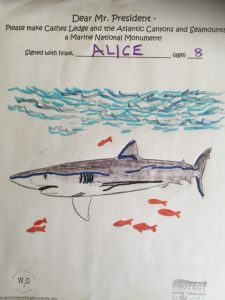 Here you can still find both large and small sharks and fish like cod, pollock and tuna of the size our ancestors described. 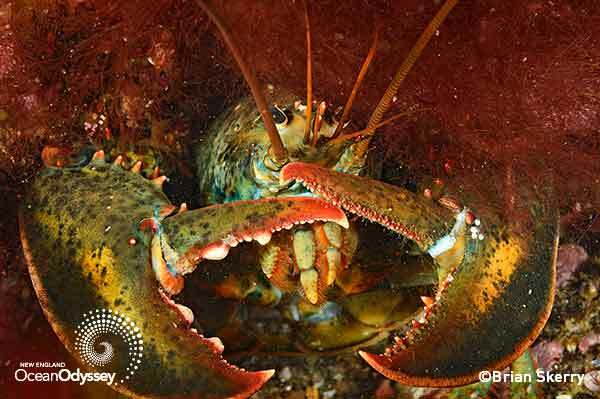 Lobster and sea stars, anemones and sponges cover the bottom like clumsy, multi-colored fists of large fingers reaching to a wash of nutrients in the water. Upwards to ten thousand whales, dolphins and porpoises at a time come to the surface to feed on the abundance of smaller fish and plankton. Seabirds on the surface hunt for leftovers and bring this enormous cauldron of productivity and energy back to land. You needn’t jump in a time machine to go there. This place is not a fantasy, but exists today only 80 miles east of Boston in the Gulf of Maine as an extension of the mountain range of Acadia National Park. 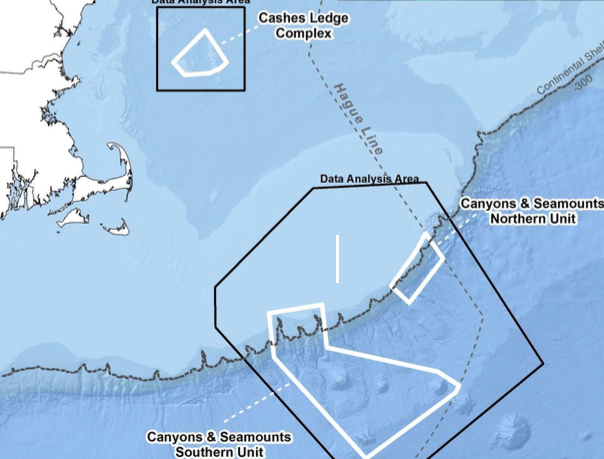 The area is simply known as Cashes Ledge and it is part of our Atlantic Treasures, a fragile place being considered for marine protection through designation as a National Monument. The rugged mountainous rocks of Cashes Ledge interrupt the river of currents flowing through the Gulf, creating smaller upending rivulets that deposit nutrients on canyon edges, fueling the start of the food chain. 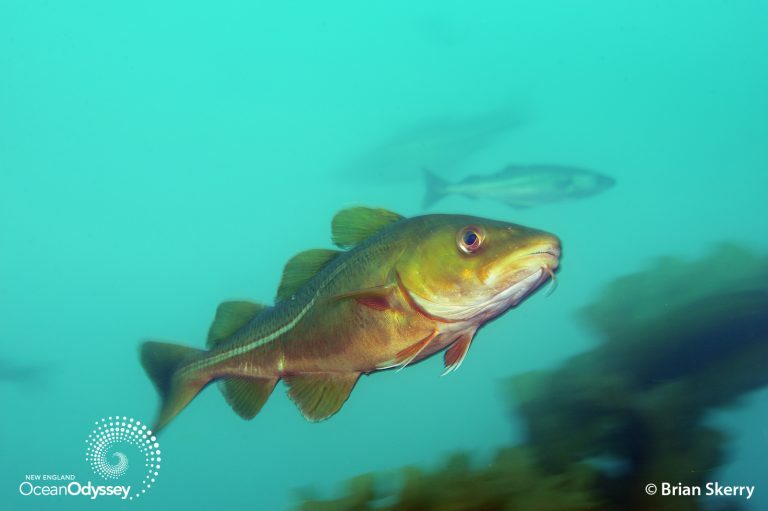 The larger catch upon which New England fisheries depend, such as cod and tuna, reproduce and feed on smaller fish here before ranging to the open ocean. Tiny gears turn progressively larger gears in a simple, yet elegant mechanism that is as ancient as our earth. It is these uninterrupted gears that support our healthy seas, which in turn sustain us. But Cashes Ledge is under threat as waters warm globally. The Gulf of Maine is warming at a rate faster than 99% of other areas worldwide. Some ocean animals have started to show signs of stress from habitat changes as they search for cooler waters. A movement to permanently protect Cashes Ledge through designation as a National Monument needs your support today. Protecting Cashes Ledge, a feeding and breeding ground for so many populations of fish and marine mammals, would be the equivalent of protecting the principal of an investment, ensuring that future dividends can be paid. Please join us in protecting this New England treasure. Sign the petition here and urge your congressmen elected officials to voice their support in protecting Cashes Ledge. 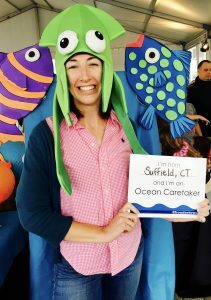 Laura Parker Roerdan, a W2O board member, is Executive Director of Ocean Matters.